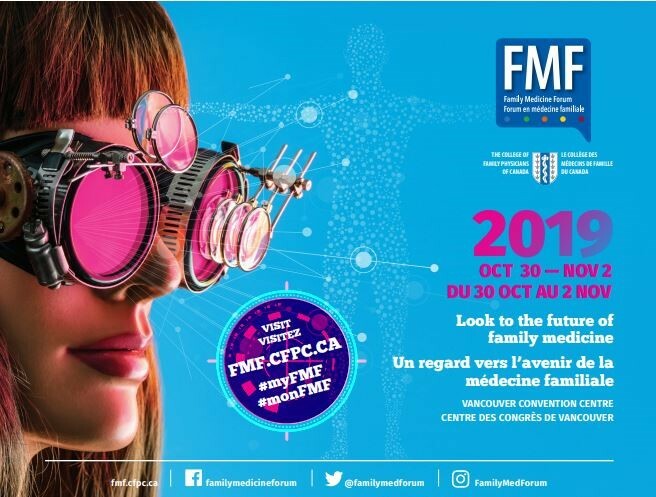 Be sure to mark your calendar: Family Medicine Forum (FMF) 2019 will take place in Vancouver, British Columbia, from October 30th through November 2nd. This is a bit earlier than usual, so we encourage you to get a jump on your planning. The call for abstracts for FMF 2019 will be announced in December and will close in February 2019. More details will be available on the College of Family Physicians of Canada website soon.